Shortstop Jonathon Malo had almost half as many honours as doubles during the 2004 college baseball season. Malo (sophomore, St-Roch-de-l’Achigan, Que. ), of the Northeastern Oklahoma A & M Golden Norse, had a career season, which included being named conference player of the year, receiving All-American honours and a six-figure signing bonus from the New York Mets. Hitting 11 homers and knocking in 62 runs in 53 games has a way of impressing scouts. Outfielder Matt Gunning was also named conference player of the year and he too received all-American honours, not once, not twice, but three times. Gunning (senior, Victoria, BC), of the the Western Kentucky Hilltoppers hit 15 homers and slugged 73 RBIs for the conference champs. Malo and Gunning each received 29 first-place votes for our fifth annual All-Canadian College team. Yet, neither were top dogs on this illustrious list. Outfielder Charlie MacFarlane (junior, Lantzville, BC), of the Cumberland Bulldogs was the most popular player at the polling station with 36 first-place votes of our 45-man panel. MacFarlane helped Cumberland win the Avista 2004 NAIA World Series and on his way to a 23-homer, 80-RBI season.. There should have been an indication MacFarlane would garner the most first-place votes as he became our first-ever, three-time Player of the Week winner. For the second-straight year that the leading vote getter came from the Avista NAIA World Series champs. Catcher Aaron McRae (Delta, BC), of the Louisiana State-Shreveport Pilots, received the most first-place votes with 37. After a summer playing for the Victoria Royals in the Pacific West league, as he did on Canada Day in an 8-7 win over the Langley Blaze alongside JordanBlundell (Edmonton, Alta.) and Gunning, MacFarlane was voted to the NAIA pre-season All-American team. … Singled in four at-bats as Cumberland edged the Berry Vikings 2-1 in the tourney opener. MacFarlane singled through the left side on an 0-1 pitch. … Had an RBI-single as Cumberland beat Martin Methodist Red Hawks 12-1. … Hit an inside-the-park homer and drove in four runs as the Bulldogs beat the Berry 14-9 to win the Trans South tournament. Our fifth annual All-Canadian College team recognizes 84 players on our first, second and third team as well as our honourable mentions from eight provinces (Ontario led the way with 40 players selected, followed by British Columbia with 25. The rest of the list included: Alberta with seven, followed by Quebec with five, Saskatchewan with four and Manitoba with three. In total we had 45 voters from eight provinces and seven different states on our panel (13 coaches, 11 executives and administrators, 10 scouts, two former players, two stats mavens, two writers one agent, a TV broadcaster and our crack four-person staff. A total of 54 ballots were send out to prospective voters. Close behind MacFarlane the champ, for were the Malo and Gunning combo with 29 first-place votes apiece. Malo and Gunning were easily the most decorated Canadians. … First-team, All-American National Junior College Athletic Association honours, NEO’s 17th All-American and the first since fellow Canadian Todd Betts (Scarborough, Ont.) in 1993. … Player of the Year in the Bi-State Athletic Conference. … 2004 Region II Player of the Year. … First Team All-Region infielder. … First Team at the Regional II tourney. Except for missing the final game of the season Malo had a dream season. He was not able to play in the Golden Norsemen’s final game because of a car accident. On the drive from Bartlesville to Miami, Oak., after a win over Eastern Oklahoma, Malo suffered a hand injury their car hit a deer near Vinita, Oak. The air bag went off and Malo suffered a dislocated knuckle on his index finger. Malo tried to brace himself, the bag went off and bent his hand back. … Sun Belt conference player of the year. … To the Sun Belt all-conference team. … To three All-America teams: earning Louisville Slugger NCAA Division I third team honours; making Collegiate Baseball,s third-team and receiving honorable mention from CollegeBaseballInsider.com to boot. … To the all-South Central Region first team. … Was selected by America Baseball Coaches Association. DH Matthieu Bergeron (sophomore, Trois-Rivieres, Que. 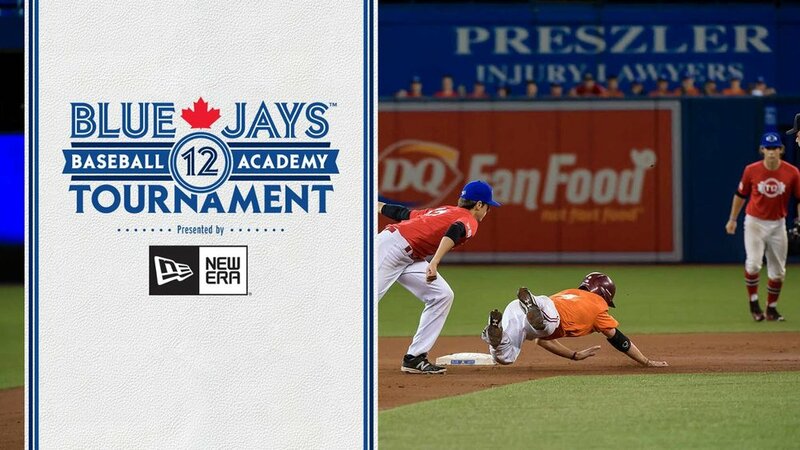 ), of the Northeastern A&M Golden Norse, with 27 first-place votes; Second base: Russ Smithson (sophomore, Port Coquitlam, BC), of the El Paso Tejanos with 25 and closer Robbie Findlay (senior, Etobicoke, Ont. ), of the Texas Christian Horned Frogs, with 22 were the other runaway winners. Left-handed starter: Brad Ashman (sophomore, Trail, BC), of the British Columbia Thunderbirds. Ashman pitched seven innings and gave up nine hits and two runs as UBC fell to 1-1 when the Concordia Cavaliers scored five times in the 12th for a 7-2 victory in the Region I tourney at Cavalier Field in Portland, Org. Ashman was 9-1 with a 2.39 ERA in 18 games, 16 of them starts. Ashman, a former Player of the Week, walked 13 and struck out 77 in 101 2/3 innings. Right-handed starter: Jordan Thomson (senior, Ottawa, Ont.) of the Northeastern Huskies. Thompson had been nearly untouchable all season, posting a 0.50 ERA in America East conference play. He was 8-4 with a 2.13 ERA in 14 games, 13 of them starts. A former Player of the Week, he walked only 12 and struck out 84 in 84 2/3 innings. Thompson was selected in the 17th round by the San Francisco Giants. Closer: Robbie Findlay (senior, Etobicoke, Ont. ), of the Texas Christian Horned Frogs. Findlay earned Honorable Mention all-American honors from CollegeBaseballInsider.com and was named second-team all-conference. Findlay finished the year with a 6-1 record to go along with a record-breaking 11 saves. He had a 2.73 ERA in 32 appearances spanning 56 innings. He walked 22 and struck out 63, third on the team. He led all Frog pitchers, holding opponents to a .199 batting average. Findlay was a former Player of the Week. Findlay earned honorable mention on the 2003 All-Canadian College team. Catcher: Chris Robinson (sophomore, Dorchester, Ont. ), of the Illinois Fighting Illini. Robinson was named first-team All-Big 10 conference. Robinson earned the first all-conference accolade, hitting a team-leading, .359 overall and .342 in the Big 10. From the start of the Big Ten season April 2, until the end of the season he hit .415 (56-for-135), collecting all nine homers, 56 of his 65 total hits and 37 of his 38 total RBI. Robinson was behind the plate in 51 of Illinois’ 55 games in 2004 and caught all but 10 innings of Illinois’ final 39 games. He earned Big 10 player of the week honors, hitting .688, including .667 over a four-game series against Indiana. Robinson also hit a pair of grand slams and set a career-high with eight RBIs against MacMurray. First base: Miguel Paquette (junior, Casselman, Ont.) of the Northeastern Huskies. Paquette hit his sixth homer of the season, a single and three RBIs in a 19-6 win over the Binghampton Hawks, tripled as the Northeastern edged the Boston Eagles 4-3. Paquette hit .326 in 43 games with 11 doubles, two triples, nine homers and 27 RBIs. Second base: Russ Smithson (sophomore, Port Coquitlam, BC), of the El Paso Tejanos. Smithson homered, had four hits and knocked in three runs to help the Tejanos to a 10-1 win Clarendon Bulldogs in the playoffs. He hit .422 in 51 games, with 21 doubles, two triples, five homers and 44 RBIs. Smithson was named to the 2004 Western Junior College Conference all-conference team. Third base: John Mariotti (freshman, Toronto, Ont. ), of the Gulf Coast Commodores. Mariotti had one of his better series against the Middle Georgia Warriors 24-0, slugging a pair of grand slam homers. Mariotti’s three grand slams he broke Dave Drevnak’s 1973 record. He was named to the All-Panhandle Conference first team and the Florida Community College All-State second team. Mariotti, a former Player of the Week batted .357, second on the team, with 11 homers and 55 RBIs. Shortstop: Jonathon Malo (sophomore, St-Roch-de-l’Achigan, Que. ), of the Northeastern Oklahoma A & M Golden Norse. Malo was a first-team, National Junior College Athletic Association All-American and he was voted Player of the Year in the Bi-State Athletic Conference. Malo knocked in four runs in a 10-9 win over the Rose State Raiders with a homer; had three hits and drove in a pair of runs in a 4-3 victory over Rose State; singled and drove in three runs in 9-1 win over the Crowder Roughriders; doubled, singled and knocked in a run in a 6-5 win over Northeastern Oklahoma. Malo led the Golden Norse with a .477 average in 53 games. He also led with 62 RBIs, in hits, with 74, while hitting 11 doubles, a triple, 15 home runs and scoring 55 runs. Malo was signed with the New York Mets, by scout Claude Pelletier and given a $125,000 signing bonus. 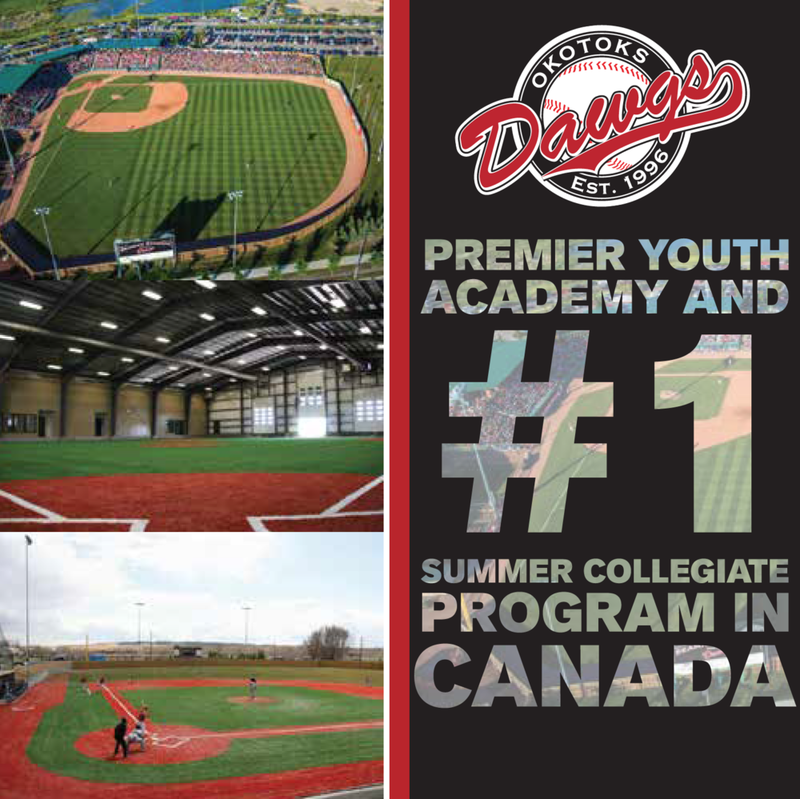 Outfielders: Charlie MacFarlane (junior, Lantzville, BC), of the Cumberland Bulldogs; Matt Gunning (senior, Victoria, BC), of the Western Kentucky Hilltoppers and Mike Larson (junior, Weyburn, Sask. ), of the California Pennsylvania Vulcans. MacFarlane homered, singled and knocked in two runs as Cumberland beat the Culver-Stockton Wildcats 5-4, homered, singled and again knocked in two runs in a 12-0 win over Culver-Stockton and drove in three runs in a 9-1 win over Culver-Stockton. He was the first three-time Player of the Week in the the five years we have been doing this. MacFarlane helped the Bulldogs with the 48th annual Avista NAIA World Series at Harris Field in Lewiston, Id. In the five-game tourney, MacFarlane hit .429 with four doubles, a homer and eight RBIs, to share a three-way tie for the RBI lead. MacFarlane led all NAIA hitters with 117 hits in 76 games for the 59-21 Bulldogs. He hit .409 with 21 doubles, five triples, 23 homers and 80 RBIs. MacFarlane earned All-Canadian College Honorable mention in 2003 and 2002. Gunning was named to three other All-America teams: earning Louisville Slugger NCAA Division I All-American third team honours; third-team, All-America by Collegiate Baseball and honorable mention all-American honors from CollegeBaseballInsider.com to boot. Gunning was named Sun Belt conference player of the year and to the all-South Central Region first team, selected by America Baseball Coaches Association. Gunning hit .381 with 24 doubles, 15 homers and 72 RBIs. He led the all-region team with 99 hits and 73 RBIs. And most of all he helped lead the Hilltoppers to their first-ever Sun Belt title, and first appearance in the NCAA Regional since 1980. Larson hit a two run homer to help the Vulcans beat Alderson Broaddus Battlers 12-8, was 4-for-5 with RBI and his second homer in a 12-4 win and hit two homers, including a walk-off job in the 10th in a 5-4 win over Indiana-Pennsylvania. He was named PSAC West Athlete of the Year after posting a team leading .401 average and leading the team in at bats with 192, hits with 77, home runs with seven and was second in runs scored (39), doubles (17) and RBIs (44). Larson, who helped California to its first PSAC title since 1979, was a first-team All-PSAC West selection as an outfielder and a second-team selection as a pitcher. DH: Matthieu Bergeron (sophomore, Trois-Rivieres, Que. ), of the Northeastern A&M Golden Norse. Bergeron homered singled and knocked in two runs in a 15-6 win over the Eastern Oklahoma Mountaineers, was 4-for-4 with a pair of RBIs in a 10-4 win over the Des Moines Area Bears and homered and knocked in four runs in a 9-0 romp over Carl Albert. Bergeron hit .357 in 49 games with seven doubles, 10 homers and 38 homers. Left-handed starter: Tyler Dale (freshman, Nelson, BC) of the Central Arizona Vaqueros. Dale pitched six innings, allowing one run in an 11-inning win over Chandler-Gilbert. Dale pitched 1 2/3 innings allowing three hits and three runs — two earned — while walking one as the Vaqueros were eliminated in a 6-1 loss to the Dixie State Rebels in the West District best-of-three final. Dale appeared in 17 games and was 6-0 with his 0.82 ERA. He walked 16 and struck out 38 in 54 2/3 innings. Right-handed starter: Steven Carter (senior, Windsor, Ont.) of the Coastal Carolina Chantileers. Carter was named to the All-Atlantic Region second team, was a first team All-Big South selection for the second time in his career, won his second straight Big South tourney MVP award and was a two-time Player of the Week. Carter broke the all-time wins record at Coastal with a 10-3 win over UNC-Asheville. Carter was 12-3 with a 4.11 ERA in 22 games, 16 of them starts, whiffing 116 batters, while walking only 32. His 41 wins also are a Big South record. He also broke the innings pitched record at Coastal, hurling 435 1/4 innings in his career. He was drafted by the Oakland A’s in the 26th round of the June draft. Carter earned honorable mention on the 2003 All-Canadian College team, was named to the second team in 2002. Closer: Charlie Strandlund (sophomore, Victoria, BC), of the Southern Idaho Golden Eagles. Strandlund recorded a strike out for the final out of the game to pick up the save as Southern Idaho edged the Southern Nevada Coyotes 3-1 and he worked 2 2/3 innings in a 5-0 win over Southern Nevada. Strandlund led the Scenic West conference with an 0.73 ERA. He was 5-1 record with six saves in 22 games, walking 10 and striking out 21 in 24 2/3 innings. Catcher: Lance Tofflemire (freshman, Leamington, Ont. ), of the Parkland Cobras. Tofflemire earned All-State, All-Region and Conference of Central Illinois first team honours. He hit hit .416 with six home runs and 56 RBIs. He was second in hits with 69 and his average was the 10th highest in school history. Tofflemire, earlier selected as the Freshman of the Year in the CCCI, led the team with a .416 average and finished with six home runs and 56 RBIs. His batting average was the 10th highest in school history. Toffelmire struck out only 11 times in 182 at bats hitting in clean-up in the for the Cobras. First base (tie): Cam Houston (senior, Spruce Grove, Alta. ), of the Fort Hays State Tigers and KeithGlawson (sophomore, Morden, Man. ), of the Campbellsville Tigers. Houston doubled three times and knocked in a run as Fort Hays State beat Metro State, had three hits, including a homer, and plated three runs in a 10-9 loss to Metro State. Houston homered again, singled twice and drove in a run in a 16-6 triumph over Metro State and had a pair of hits in a 9-3 win over Eastern New Mexico Greyhounds and he had a pair of hits in a 10-3 win over the Highlands. Houston earned Rocky Mountain Athletic conference honorable mention honors. Houston hit .340 with eight doubles, nine homers and 29 RBIs. Glawson homered, singled and knocked knocked in three runs by going 3-for-4 in a 10-4 win over Northern State, knocked in three runs by going 3-for-4 in a 10-0 win over Lindsey Wilson and tripled and knocked in a run in a 5-4 win over Wilson. Glawson hit .393 in 41 games with 12 doubles, a triple, three homers and 35 RBIs. Second base: Ivan Naccarata (senior, Longeuil, Que. ), of the Louisiana State Fighting Tigers. Naccarata had a pair of hits and knocked in two runs to help LSU beat Army, homered in an 11-3 triumph over the Charleston Patriots in the NCAA regional; singled and knocked in a run in a 9-5 loss to the Miami Hurricanes and singled twice and knocked in a run as LSU was eliminated 15-4 at the College World Series. Naccarata hit .281 in 59 games with six doubles, five homers and 35 RBIs. Naccarata earned honorable mention with the 2003 and 2002 All-Canadian College teams. Third base: Anthony Granato (senior, Toronto, Ont. ), of the Virginia Commonwealth Rams. Granato homered, doubled and knocked in four runs as the edged the North Carolina Tar Heels 8-6. Granato led the Rams with a .357 average. He had 15 doubles, six triples and five homers, while knocking in 45 runs. On the base paths he was a demon, stealing 44 bases in 49 tries. Granto was named to the the Louisville Slugger NCAA Division I All-American third team. Shortstop: Reed Eastley (junior, Brandon, Man. ), of the Niagara Purple Eagles. Eastley had a pair of hits, including a double as Niagara eliminated the Manhattan Jaspers from the Anaconda Sports/Metro Atlantic Athletic Conference tourney, went 4-for-5, including a triple and knocked in a run in a 13-3 win over the Youngstown State Penquins and double and singled in a 4-1 win over Siena. Eastley hit .368 in 54 games, with 25 doubles, three triples, eight homers and 57 RBIs. Outfielders: Nicolas Boisvert (freshman, Laval, Que. ), of the Northeastern Oklahoma A & M Golden Norse;David Lamky (senior, Cambridge, Ont. ), of the Northwood Timberwolves and Craig Barber (senior, Richmond, BC), of the Dowling Golden Lions. Boisvert homered in a 15-6 romp over the Eastern Oklahoma Mountaineers. He knocked in four runs in a 9-0 romp over Carl Albert and went 3-for-3, knocked in three runs and stole a base in a 7-6 win over Crowder. Boisvert hit .382 in 44 games with 14 doubles, six homers and 36 RBIs. Lamky doubled twice to help Northwood beat the Concordia-Michigan Cardinals, had three hits, including two doubles in a 6-1 win over the Findlay Oilers and had three hits, including a double, in a 7-1 win over Hillsdale. Lamky earned Great Lakes conference first team and ABCA/Rawlings first team all-north central region honours. Lamky earned first-Team All-GLIAC plaudits for the third time in his career. Lamky hit .407 in 49 games with 20 doubles, three triples, three homers and 35 RBIs. Lamky earned honourable mention honours on the 2002 All-Canadian College team. Barber went 4-for-4, with a double and homer in a 13-4 win over the Mercy Flyers, knocking in three runs and scoring three times, was 4-for-5, with a double, in an 8-0 win over Mercy, had three hits in an 8-3 win over the Bridgeport Knights and had three hits in a 9-3 win over Concordia-New York. Barber won the New York conference Player of the Year and was named 2004 first team NYCAC all conference. Barber, a former Player of the Week, hit a team-high .389, with 13 doubles and seven homers. He was named to the East Coast conference Division II first team and earned first team All-Northeast Region selection. He led Dowling in homeruns, hits (82), stolen bases (10) and slugging percentage (.578). DH: Dan Grant (senior, Thunder Bay, Ont. ), of the Northern Iowa Panthers. Grant was was 3-for-5 in 10-5 win over Lehigh Mountain Hawks, singled and knocked in a run in a 3-2 triumph over Southern Illinois and doubled and then worked a two-out walk in a two-run, bottom of the seventh to edge the Creighton Blue Jays 6-5. Grant hit .342 in 48 games with 14 doubles, one triple, eight homers and 35 RBIs. Grant earned first team honours on the 2002 All-Canadian College team. Left-handed starter (tie): R.J. Swindle (junior, Vancouver, BC), of the Charleston Southern Buccaneers and Adam Daniels (sophomore, North Vancouver, BC) of the Eastern Oklahoma Mountaineers. Swindle was 8-4 with a 3.24 ERA in 18 games, 17 of them starts. He walked 30 and fanned 127 in 114 innings. Swindle was selected in the 14th round of the June draft by the Boston Red Sox. Swindle signed and was 5-1, with a 1.94 ERA for Single-A Lowell. Daniels was 7-5 with a 2.95 ERA and 113 strikeouts in 79 1/3 innings, limiting hitters to a .159 batting average. Daniels appeared in 19 games, 16 of them starts, with three complete games. A former Player of the Week, he walked only 38 in 79 1/3 innings. Daniels was drafted in the 43rd round in 2004 draft by the Chicago Cubs, the 22nd round in 2003 by the Colorado Rockies, the 19th in 2002 by the Minnesota Twins and in the 27th round of the 2001 by the Toronto Blue Jays. He transferred to Oklahoma State Cowboys. Daniels earned honorable mention with the 2003 All-Canadian College team. Right-handed starter: Jeff Duda (freshman, Surrey, BC) of the Central Arizona Vaqueros. Duda worked six innings in a 2-1 win over Chandler Gilbert, allowing one run, while walking two and striking out six for the victory. Through his first 78 innings, Duda had a team-leading 79 strikeouts and a 1.50 ERA. In all, Duda worked in 20 games and had a 7-4 record with a 1.79 ERA. He walked 16 and struck out 88 in 95 2/3 innings. Closer (tie): Chris Leroux (sophomore, Mississauga, Ont.) of the Winthrop Eagles and Adam Walton (senior, Quesnel, BC), of the Jamestown Jimmies. Leroux gained the save in a 4-1 Winthrop win over the Florida Atlantic Blue Wave. For Leroux it was his fifth save and made Leroux, at that point of the season, 1-0, with a 1.83 ERA, allowing runs in just two of his 15 appearances. Leroux was 1-3 with a 3.41 ERA and five saves in 19 games, sharing the closer,s duties. Walton earned NAIA honorable mention, was named to the was named to the all-region III team and earned Dakota-10 first-team, conference honours. Walton, a reason Jamestown made the NAIA World Series, was 7-2 with a 1.91 ERA, lowest on the team. He had eight saves in 24 games, two of them starts. He walked 18 and struck out 47 in 48 innings. Catcher (tie): Jake Elder (junior, Delta, BC) of the Minnesota Golden Gophers and Dillon O’Krane (freshman, Langley BC), of the Iowa Western Reivers. Elder hit .317 with six doubles, seven homers and 32 RBIs. He went 3-for-5 as the Gophers beat Illinois 12-6; doubled and singled in a 7-4 win over Illinois; homered, singled and knocked in two runs in an 8-2 win; singled twice and drove in a run in a 6-5 loss to Illinois. O’Krane delivered the game-winning single as Iowa Western beat the Southwestern Spartans 7-5, was 2-for-2 and knocked in two runs in Iowa Western,s win over Southwestern by a 7-6 score. He earned all-District Team (Northern) first team and Region XI honours. O’Krane hit .446 in 31 games, with 10 doubles, three triples, two homers and 28 RBIs. First base: DJ Feil (freshman, Swift Current, Sask.) of the Northland Lumberjacks. Feil went 3-for-4 and drove in four runs as Northland Lumberjacks beat the Finlandia Lions 10-4, he went 3-for-3 and knocked in two runs as in a 14-6 win and had two hits and an RBI in a 9-4 Northland win over UW-Superior 9-4. Feil hit .379 in 44 games with 15 doubles, four homers and 42 RBIs. Second base (tie): Chris Becker (senior, Guelph, Ont. ), of the Arkansas Little Rock Trojans and MarkCapone (sophomore, Etobicoke, Ont. ), of the British Columbia Thunderbirds. Becker went 3-for-4 and plated three runs with a double and two singles in a 16-7 win over the New Orleans Privateers, had a pair of hits, knocking in two runs in an 18-0 win over Arkansas-Pine Bluff 18-0 and doubled and singled in a 4-3 win over the New Mexico State Aggies. Becker hit .315 in 48 games with 13 doubles, eight homers and 46 RBIs. Becker earned third team honours on the 2003 All-Canadian College team. Capone had two hits and drove in two runs in a 10-5 win over the Albertson Coyotes, went 5-for-5 and knocked in a run in a UBC 7-6, 10-inning win over Eastern Oregon and had three hits, including a triple, a double and an RBI in a 7-2 win over Pacific. Capone led the T-Birds in hitting .365 in 57 games with 16 doubles, three triples, three homers and 47 RBIs. Capone rewrote much of UBC’s single-season record book, setting new marks for average, runs scored (55), hits (88) and total bases (119). Third base: Jeremy Procyshen (senior, Saskatoon, Sask. ), of the Olivet Nazerene Tigers and Steve Clark (senior, Calgary, Alta. ), of the Cameron Aggies. Procyshen earned all Chicagoland conference honours, being tabbed an all-conference performer for the first time. Procyshen doubled and knocked in three runs as the Tigers beat the Illinois Tech Warriors 11-1, had two hits and knocked in a run in a 7-4 win over Illinois Tech, singled and knocked in a pair of runs in a 9-5 loss to Indiana Tech. Procyshen hit .392 with 13 doubles, two triples and three home runs. Procyshen scored 51 runs, driving in 55. Clark was selected to the Lone Star Conference North Division baseball all-conference first team. Clark finished second on the team with a .333 average and led the Aggies in home runs (13), RBIs (41) and runs scored (41). Clark also led Cameron in total bases and slugging percentage. Known for his outstanding glove in the Aggie infield the past two seasons, Clark recorded 73 assists and was involved in eight of the Aggies, 26 double plays. Shortstop: Mike Ambrose (sophomore, St. Thomas, Ont. ), of the Eastern Oklahoma Mountaineers. Ambrose hit a solo homer, singled and stole a base as the edged the Connors State Cowboys 3-1 in the opener of the Regional II tourney, was 2-for-3, with a solo homer in a 12-2 win over Paris 12-2 and had a pair of hits, including a homer and a double, knocking in four runs in a 20-0 win over Northeastern A@M. Ambrose, a former Player of the Week, hit .364 in 55 games with 18 doubles, three triples, 10 homers and 57 RBIs. Outfielders: Sebastien Boucher (junior, Ottawa, Ont. ), of the Bethune-Cookman Wildcats, Alan Cattrysse (sophomore, Chatham, Ont. ), of the Michigan State Spartans and Justin Millward (senior, Campbell River, BC), of the Jamestown Jimmies. Boucher had three hits in a 7-3 win over Delaware State, singled twice in a 9-0 win over the Norfolk State Spartans and was 3-for-5 in a 9-5 win over the Delaware State. He was hit .352 in 55 games with eight doubles, five triples, a homer and 24 RBIs, while stealing 37 bases. Boucher was the first Wildcat to be drafted, picked by the Seattle Mariners in the seventh round. Boucher led the Wildcats in stolen bases and was second on the team in average. Boucher earned honourable mention on the 2003 All-Canadian College team. Cattrysse singled as the Spartans edged Penn State Nittany Lions 8-7 in the Big 10 tourney, was 3-for-4, with a pair of RBIs as the Michigan State beat the Penn State 11-5, went 3-for-3 and scored in a 3-2 loss to Penn State and singled twice in a 7-4 victory over Penn State. Cattrysse hit .309 in 56 games with eight doubles, two triples, six homers and 31 RBIs. Millward hit a solo homer as Jamestown beat the Dickinson Blue Hawks and he had two singles and knocked in a pair of runs in 15-9 win over St. Scholastica in the Region III tournament. Millward was 5-for-6, with a pair of triples, and four RBIs, as the Jamestown swept the Mary Marauders. Millward went 3-for-4 with two triples and an RBI as Jamestown won the opener 7-2 and had two more hits and drove in three runs as the Jimmies pounded the Marauders 11-1. He earned first-team Dakota-10 conference honours. Millward hit .382 in 47 games with nine doubles, two triples, seven homers and 48 RBIs. DH: Mike Alati (sophomore, Vaughan, Ont. ), of the Niagara Purple Eagles. Alati hit his sixth double, singled and drove in three runs in a 13-3 win over the Youngstown State Penquins, had two three-hit games in the Anaconda Sports/Metro Atlantic Athletic Conference tourney, a 7-2 loss to the Manhattan Jaspers and in a a 12-7 loss again to Manhattan he tripled, doubled, singled and stole a base. Alati hit .337 in 58 games with 12 doubles, four triples, four homers and 34 RBIs. Left-handers: Simon Gagnon (freshman, St. Eustache, Que. ), of the Northeastern Oklahoma A & M Golden Norse. Voting (first-place votes in brackets): Ashman (15) 80, Dale (14) 77, Swindle (8) 42, Daniels (7) 42, Gagnon (1) 23. Right-handers: Jeff Steele (senior, Powell River, BC), of the Oklahoma Baptist Bison; Adam Gautreau(senior, London, Ont. ), of the Kentucky Wesleyan Panthers; James Avery (sophomore, Moose Jaw, Sask. ), of the Niagara Purple Eagles; Louis Raptopoulos (senior, Mississauga, Ont. ), of the Lyon Scots; Craig Talbot (sophomore, Victoria, BC), of the Jamestown Jimmies and Josh Sawatzky (Altona, Man. ), of Niagara. Voting (first-place votes in brackets): Thomson (13) 66, Carter (12) 61, Duda (11) 54, Steele (5) 34, Gautreau (1) 13, Avery (1) 6, Raptopoulos 6, Talbot (1) 5, Sawatzky (1) 4. Closer: Andrew Koop (sophomore, Abbottsford, BC), of the Campbellsville Tigers; Scott Robinson (junior, Ajax, Ont. ), of the Maine Black Bears; Matt Tosoni (freshman, Whitby, Ont. ), of the St. John’s Red Storm;Kyle Nicoletta (sophomore, Oakville, Ont. ), of Niagara; and Jason Blackey (freshman, Duncan, BC), of the North Central Texas Lions. Voting (first-place votes in brackets): Findlay (23) 82, Strandlund (5) 44, Leroux (6) 32, Walton (3) 32, Koop (3) 22, Robinson (2) 23, Tosoni (2) 11, Nicoletta 4, Blackey (1) 3. Catcher: Rich Russell (sophomore, Toronto, Ont. ), of the Marshall Thundering Herd; Mike Nickeas (junior, Vancouver, BC), of the Georgia Tech Yellow Jackets and Lyall Foran (freshman, Delta, BC), of the Western Nebraska Cougars. Voting (first-place votes in brackets): Robinson (15) 78, Tofflemire (14) 56, O,Krane (4) 32, Elder (3) 32, Russell (2) 24, Nickeas (6) 22, Foran (1) 11. First base: Eric Wolfe (sophomore, Willowdale, Ont. ), of the Purdue Boilermakers; Ron Oneson (freshman, London Ont. ), of the Ashland Eagles; Dana Tosoni (junior, Coquitlam, BC), of the New Orleans Privateers; Adam Piggott (senior, Sarnia, Ont. ), of the Saginaw Valley State Cardinals; Pat Nailer (senior, Leaside, Ont. ), of the Dartmouth Big Green. Voting (first-place votes in brackets): Paquette (16) 65, Houston (6) 37, Glawson (6) 37, Feil (4) 32, Wolfe (7) 27, Oneson (1) 24, Tosoni (1) 20, Piggot 8, Nailer (2) 8. Second base: Vince Ircandia (sophomore, Calgary, Alta. ), of Niagara; David Latour (junior, Barrie, Ont. ), of the Central Michigan Chippewas; Jared Schweitzer (sophomore, Lethbridge, Alta. ), of the Kansas Jayhawks; Rob Recuenco (junior Vancouver, B.C.) of the Armstrong Atlantic State Pirates; Frank Jeney(junior, Windsor, Ont. ), of the Wayne State Warriors, John McHugh (senior, Edmonton, Alta. ), of the Peru State Bobcats. Voting (first-place votes in brackets): Smithson (25) 90, Naccarata (7) 40, Becker (4) 36, Capone (2) 36, Ircandia (4) 32, Latour 13, Scheweiter (1) 7, Recenco 7, Jeney (2) 6, McHugh (write-in candidate). Third base: Ryan McKinnon (junior, Stoney Creek, Ont. ); Jordan Blundell(senior, Edmonton, Alta. ), of the Jamestown Jimmies; Harrison Harber(freshman, Ottawa, Ont. ), of the Barton County Cougars; Cory Turchan (junior, Stouffville, Ont. ), of Spalding and Tyler Moe (freshman, Oakville, Ont. ), Graceland Yellow Jackets. Voting (first-place votes in brackets): Mariotti (18) 77, Granato (9) 44, Procyshen (3) 39.5, Clark (6) 39.5, McKinnon (3) 25, Blundell (2) 18, Harber (3) 13, Turchan 5, Moe (1) 5. Shortstops: Steven Condotta (freshman, Mississauga, Ont. ), of the Florida Tech Panthers. Voting (first-place votes in brackets): Malo (29) 105, Eastley (10) 75.5, Ambrose (5) 55.5, Condotta, (1) 8. Outfielders: Jeff Tobin (sophomore, Pickering, Ont. ), British Columbia Thunderbirds; Adam Campbell (sophomore, Surrey, BC), UBC; Glenn Jackson (junior, Toronto, Ont. ), of the Louisiana-Monroe Indians; Adwin Springer (sophomore, Toronto, Ont. ), of the Wayne State Warriors; Adam Salter (senior, Ottawa, Ont. ), of the Tennessee-Martin Skyhawks; Tom Klapp (senior, Elkford, BC), of the Valley City State Vikings; Jonathan Baksh (freshman, Mississauga, Ont. ), of the Florida Tech Panthers; Eric Cattoni (freshman, Lethbridge, Alta.) of the Southern Idaho Golden Eagles and Tom Huntingford (junior, West Vancouver, BC), of the Peru State Bobcats. Voting (first-place votes in brackets): MacFarlane (36) 120, Gunning (29) 111, Larson (14) 68, Boisvert (7) 65, Lamky (8) 58, Barber (4) 57, Boucher (9) 54, Cattrysse (7) 46, Millward (3) 38, Tobin (3) 28, Campbell (3) 28, Jackson (3) 26, Springer (2) 20, Salter (2) 17, Klapp 18, Baksh (2) 11, Cattoni 9. Huntingford (write-in candidate). DH: Matt McGraw (freshman, Burlington, Ont. ), of the Maine Black Bears; Connor Janes (sophomore, Vancouver, BC), of the British Columbia Thunderbirds.